This is a follow-up post to our post on Income Tax Implications for Freelancers since there has been revisions in the tax slab for Income tax by the Finance Minister recently. 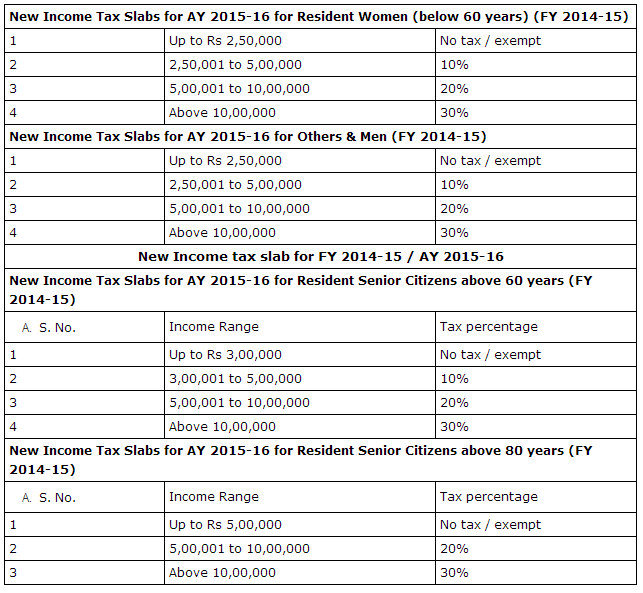 This is the most updated Tax slab for FY 2014-15 (AY 2014-15) . If you are a freelancer having a taxable income greater than 2,50,000 in the current financial year (14-15), you ought to ensure that you pay your taxes on time to avoid any hassles. The government has additionally raised the limits for investments under 80C to Rs 1,50,000 from Rs 1,00,000. The investments under 80C are non taxable and hence help you in saving taxes. I have been searching this post,, at last i have found this.Happy New Year 2015. 1. Does the income from this contractor role be considered as “Salaried Income” or “Other Income” ? 2. If it will be considered as “Other Income” , would it be possible to show the deductions which come under Chapter VI A , 80C and all that ? Investment in saving instruments like NSC, PPDF, ELSS ? Health Insurance for self and dependants ? 3. What are the tax liability which would be coming with this role ? 4. Would the income be liable for taxation in US ? TDS in US . 5. What all deductions can be claimed for bringing down the tax outgo ? Any help is highly appreciated . 5. Consult a CA for better understanding on this. Thank you very much for the inputs . Much appreciated . Now you can hire a CA at Comparable Pricing Online via http://www.myonlineca.in , its india’s first legal marketplace where you can hire a CA and done your work completely online virtually through our portal. I am a freelancer. A client is US said I should have a registered company to receive payments due to tax issues in US. I find forming an OPC will take a long time & may be costly. What should I do?